It’s important to celebrate the dedicated who manage to enrich others lives by improving an amenity for both locals & visitors to our area. 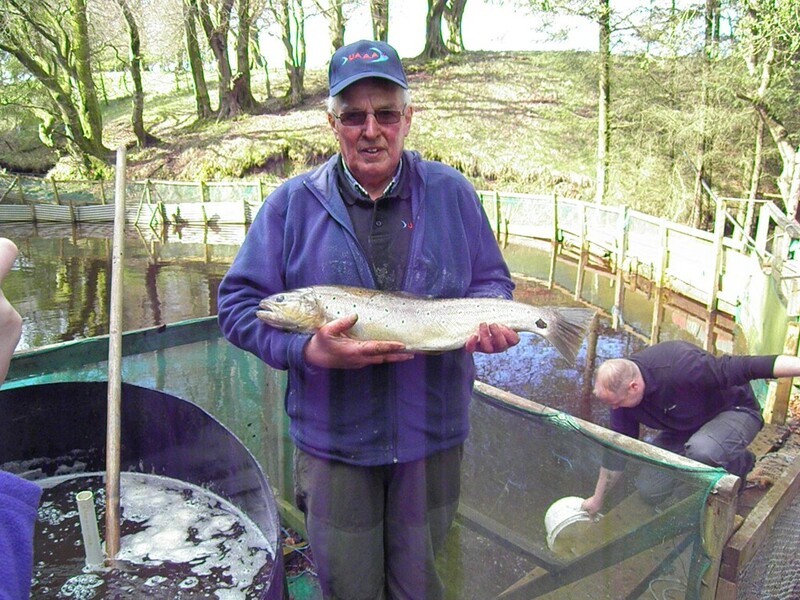 Jim is one such individual who has always believed in the UAAA Project and has committed his life to this end since the inception of the Upper Avon Angling Association in 2006. Over the past few years he’s been on the River checking permits. Working around the hatchery building walkways, doing everything he can to nurture our fish from eggs to mature stock fish. Jim’s to be seen towing our trailer with fish down to the river & up to the reservoir. Cooking his famous Saturday morning fry up for those helping around the ponds. Making signs, building stiles to help our anglers get around the river – picking up litter on an almost daily basis. Jim’s made a great difference recently as Reservoir Convenor involved in a hands on basis improving the facilities for our members. He’s done a great job in previous years as Permit Convenor & helping out with many other issues that regularly crop up. Most of all Jim’s advice and experience has been invaluable in shaping and helping the Committee that will continue to improve the UAAA for many years ahead. We just want to say a big thank you to JC Tait & here is to our friendly wee club prospering in the years ahead. If you are a member reading this and you meet Jim on our waters please give Jim a big hand shake and thank you for helping ensure that angling in our wee corner of South Lanarkshire continues to prosper. Jim proudly showing off a fine Brownie from the UAAA's rearing ponds ready for stocking. This entry was posted in Uncategorized and tagged Upper Avon Angling Association Brown Trout Angling. Bookmark the permalink.